With the playoffs approaching and rotations shortening, Denver Nuggets wing Torrey Craig found himself on the outside looking in. 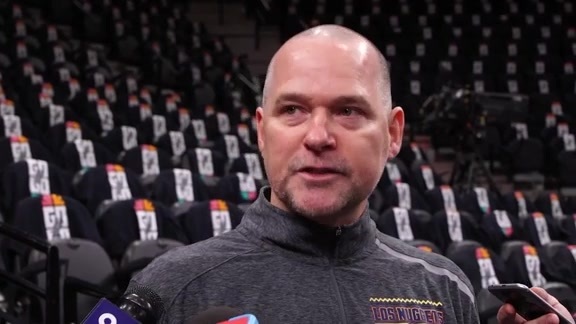 Head coach Michael Malone opted to go to an eight-man rotation as Denver began a three-game home stand last week, with Craig and forward Juancho Hernangómez finding playing time hard to come by. Such is the case for many reserves in the NBA. While a team’s depth is a strong asset to have during the grind of the regular season, coaches often rely on their best eight players in the postseason. However, if Craig’s performance against the Boston Celtics on Monday is any indication, Craig will be ready to contribute if and when his name is called in the playoffs. In 21 minutes of action, Craig scored 13 points on 5-of-7 shooting from the field, while grabbing eight rebounds and dishing out two assists. Craig finished the game +12, which was the second-highest +/- on the team behind Nikola Jokić (+15). Since the All-Star break, Craig has posted the fifth-highest net rating on the team, which reflects the team’s strong point differential per 100 possessions while Craig has been on the court. “Guys stepped up and made big plays,” Malone said. “Torrey Craig's energy, effort and productivity off the bench was really instrumental in the win tonight." Craig will always be called upon to provide physical defense on the wing, but on Monday night, he showcased the offensive contributions he can make if given the opportunity. They key to Craig’s offensive game is knocking down open 3-pointers and consistently cutting to the basket for easy layups or dunks. As the Nuggets bench unit struggled to score against Boston, Craig constantly ran the floor and got open for quality shots. In the clip below, Craig notices that the Celtics don’t cover the paint when getting back in transition, so Craig runs straight towards the rim and converts a tough and-one layup. Craig really made his mark on the game in the final seconds of the third quarter. After a pick-and-roll between Monte Morris and Mason Plumlee forces the Celtics to crowd the paint, Craig confidently knocks down an open 3-pointer from the corner, a spot where he is a career 35.5 percent shooter. 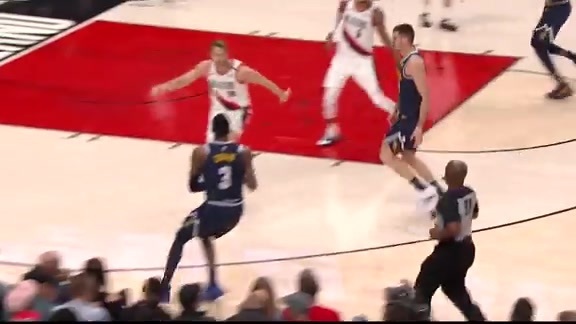 Craig is more than capable of spacing the floor from the corners and hitting open 3-pointers after Denver’s initial action breaks down the defense. Following a Celtics turnover, Craig noticed his defender wasn’t paying attention, allowing the 28-year-old to cut towards the rim for a game-tying dunk. 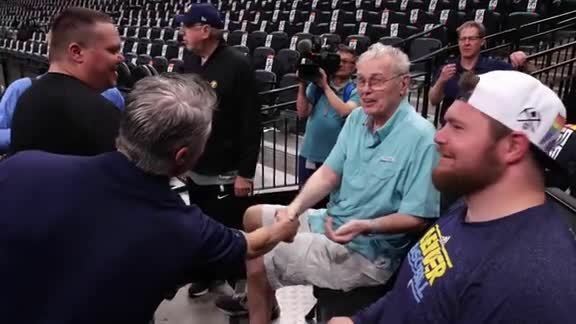 Craig’s final basket of the game came during a key stretch in the fourth quarter, as the Nuggets were trying to fend off a comeback from Boston. With Jokić initiating a post-up, Craig knew that if he made an effective cut towards the rim that Jokić would find him, and that’s exactly what happened, leading to an open layup. Those clips don’t showcase Craig’s rebounding, which was instrumental on the defensive end. Rebounding is the dirty work, with boxing out and fighting for position key to ultimately securing a rebound to end the offense’s possession. Craig did just that on Monday, and his presence on the boards is another area where he can make his mark on a game. When Craig has been on the floor this season, Denver’s offensive rebound percentage increases by five percent, which ranks in the 94th percentile according to Cleaning the Glass. "We knew this was a big game coming in,” Craig said. 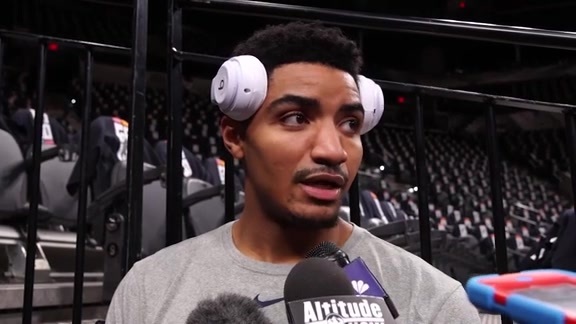 “We knew it would be tough and that it would be a grind-out game, but we came out and got the W."
As the playoffs approach, Craig can work his way into consistent playing time by continuing to knock down open 3-pointers, cutting to the rim for easy baskets and playing strong defense on the wing. 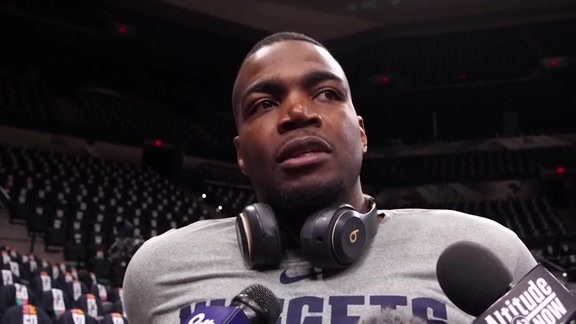 If Monday’s playoff-clinching win over the Celtics was any indication, Craig can make his mark for the Nuggets on a regular basis. "We have to continue to play with pace"